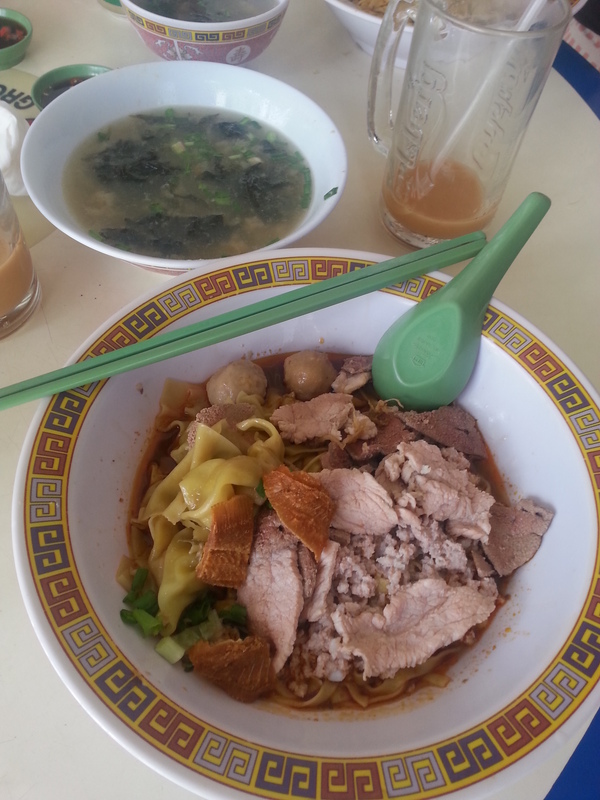 so what exactly makes this bak chor mee so good? 1. the noodles are cooked to perfection. they aren’t in the least bit overcooked and retain a delicious bite while not being too hard. you’ll also never find bits of clumpy noodles stuck together (that is pretty common in noodles that aren’t as well-cooked). 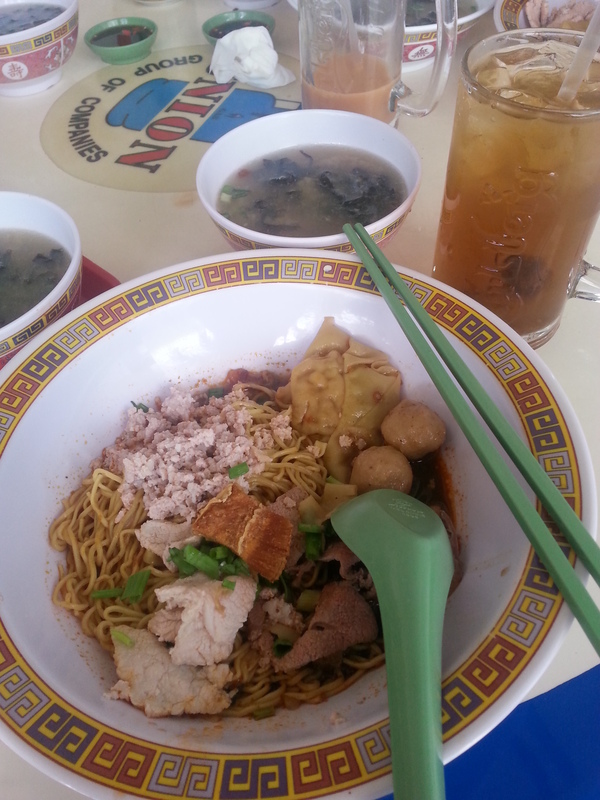 my personal preference is mee kia, but both the mee kia and mee pok are good! 2. the sauce – note that this sauce is a vinegar-based type of sauce so it might not be everyone’s cup of tea. having grown up eating dry noodles in sauce that always includes some vinegar, this to me is the best sauce ever. 3. the chilli is really really good. 4. the ingredients are all delicious. the meat, like the noodles, is perfectly cooked – sweet, tender and not overcooked at all! the liver is crunchy and delicious (my sister who normally avoids liver like the plague actually enjoys this liver), the dumpling is not at all the kind of dumpling that has more skin than filling (in fact many people order a bowl of soup with dumplings on top of their bowl of bcm), and the meatballs are a yummy touch. and the pieces of fried solefish (ti poh) that top the dish are like icing on top of the cake – so good. 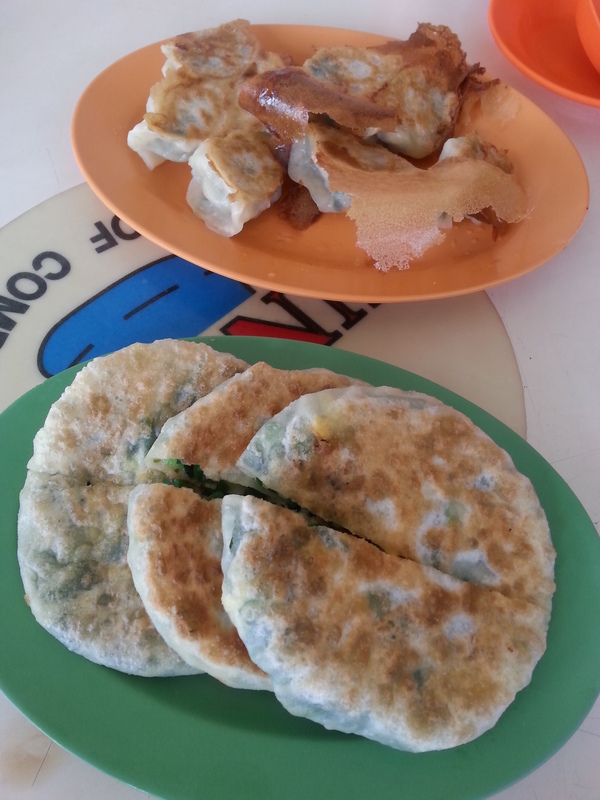 another stall in the coffee shop does very good fried dumplings (guo tie) as well as chive pancakes! plus their queue is never as long as the queue for bcm, so this is a great snack as an appetiser or energy boost for the queuing while waiting in line for your noodles! the guo tie is perfectly brown and crispy on the outside without being burnt at all (check out the pic – no black bits in sight! ), while the chive pancake is really well done with generous amounts of very fresh and juicy chives. both aren’t too oily as well – barely any oil was found left on the dish when we were done. 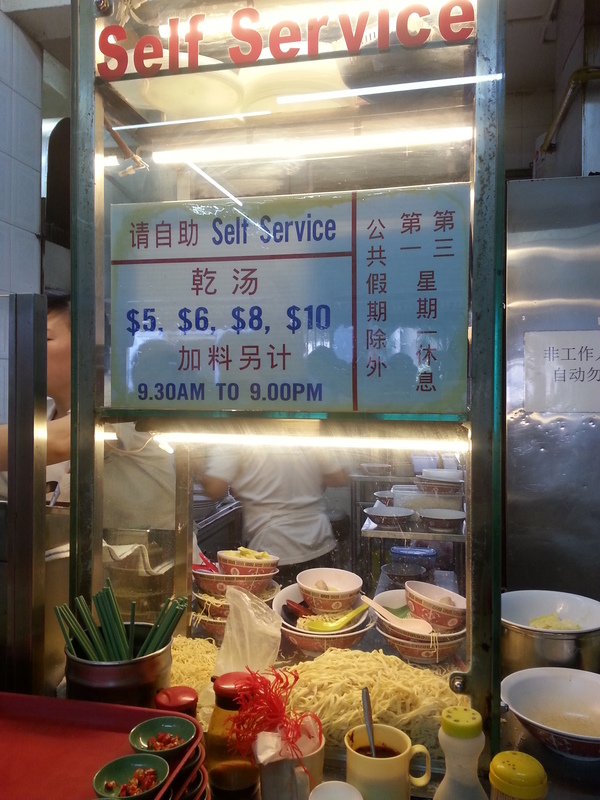 i would definitely recommend ordering this along with your bak chor mee! 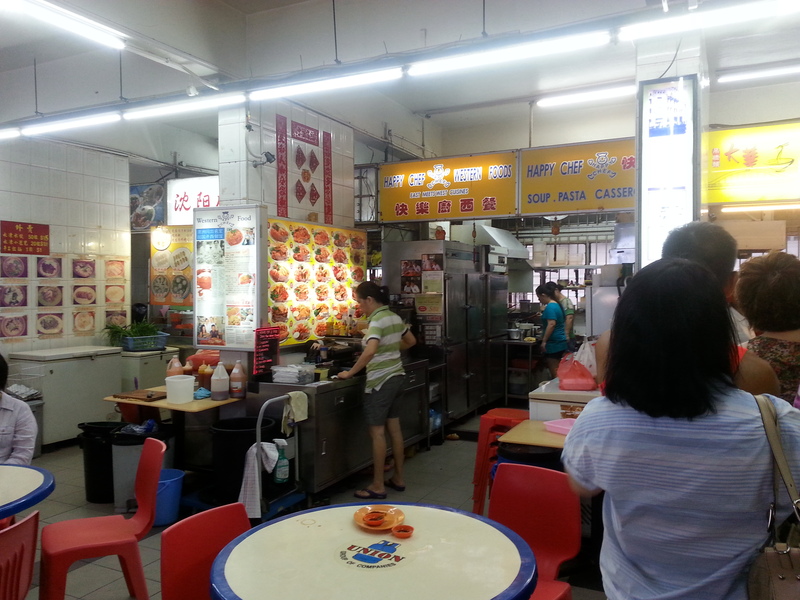 the stall that sells these items is the 2nd stall to the left of the bak chor mee stall. there is a carpark right by the coffee shop so its pretty convenient eating here if you drive! if not, walking from lavender mrt which is right by the immigration building is also a breeze. 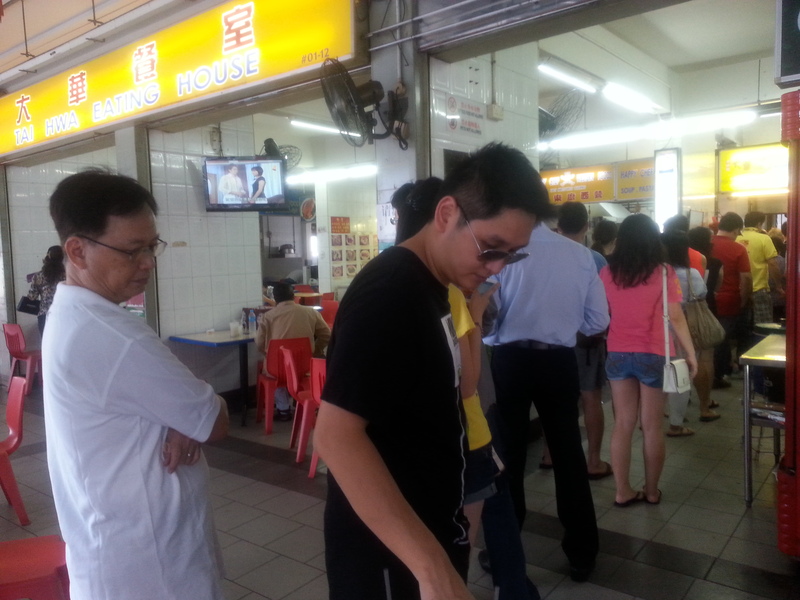 definitely be prepared to queue for about an hour if you head down at lunch/dinner time. if not, going once it opens in the morning (930am if I’m not wrong) or mid-afternoon should help to shorten the waiting time. 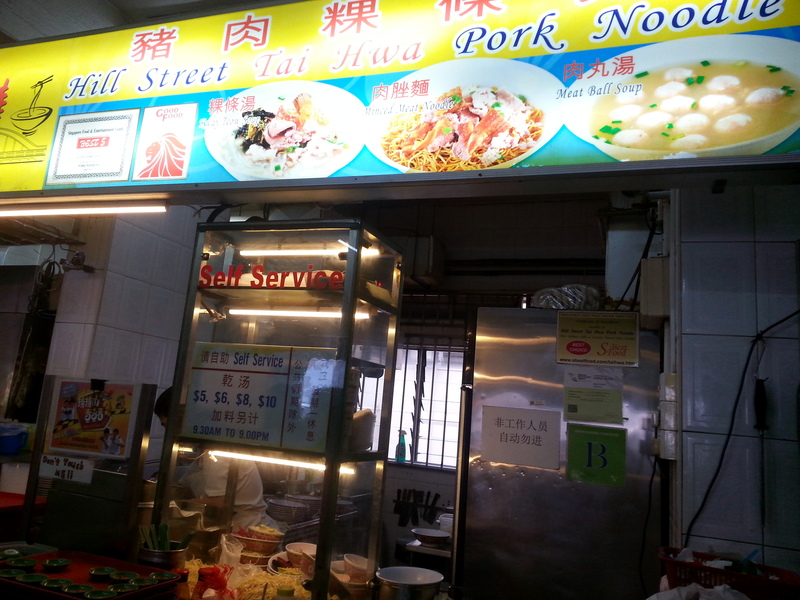 This entry was posted in Breakfast, Brunch, Chinese, Dinner, Hawker, Lunch, Singapore and tagged bak chor mee, bak chor mee review singapore, best bak chor mee in singapore, chive pancake singapore, Chives, crawford bak chor mee review, crawford lane bak chor mee, Dumpling, dumplings in soup singapore, Food, guo tie singapore, happy chef, hill street tai hwa pork noodle review, hong lim bak chor mee, mee kia, Mee pok, minced pork noodles singapore, Noodle, Sauce, ti poh, western food in coffee shop review by nicjorach. Bookmark the permalink.